The HTC 10 has been unveiled, its specs and features have been detailed, it’s more of what you’re looking for in a flagship phone. Unparalleled performance. Superb 24-bit Hi-Res sound. The world’s first*Optical Image Stabilization in both front and back cameras. When you finally purchased one, you may wanna play awesome videos on the HTC 10. However, you must be tired of failing to watch some movies on the phone. For example, when you download a terrific movie from internet, but it can be played because your HTC 10 doesn’t support its format. 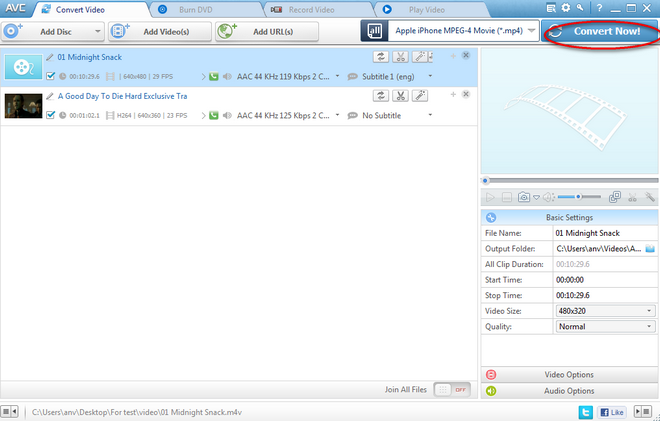 Now, you nees some video conversion software. As a free HTC 10 Video Converter, Any Video Converter Freeware should help you a lot. How to convert movies to HTC 10 for playback freely? 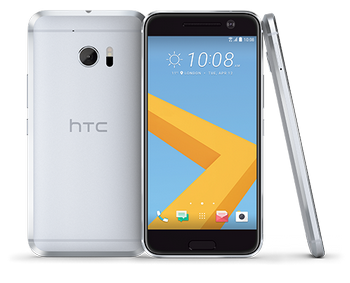 Please download the HTC 10 Video Converter Freeware to get started. 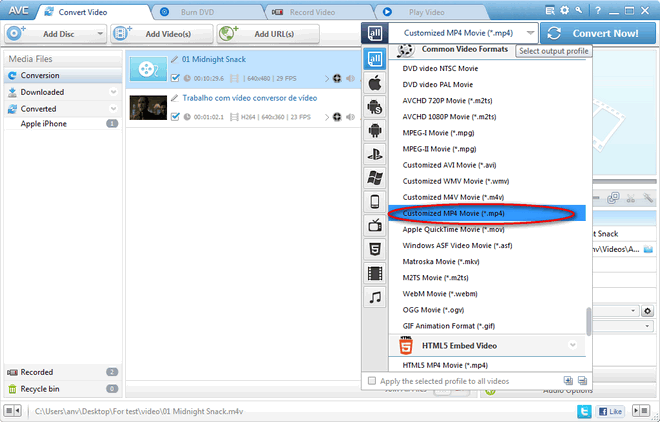 Step 1: Import movies by clicking the "Add Video(s)" button in the main interface. 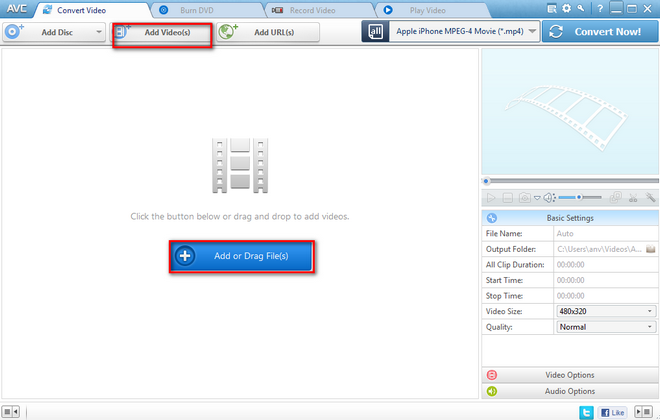 You can click “Add Video(s)” or “Add or Drag Files” to add the movies in different formats like HD videos, avi, mkv, vro, mvi, mpv, vp6, wmv, 3gp, flv, rmvb, mpg, mov, mp4, avchd, m2ts, mod, vob, etc to this HTC 10 Video Converter. Hi the button under Output Profile on the top right corner to select the output format. In the list of Output Profile, select your desired output format. Now you can transfer the converted file to your HTC 10. Just enjoy it. What else can HTC 10 Video Converter do for you? Seems very easy right? Download this free HTC 10 Video Converter and try it right now!